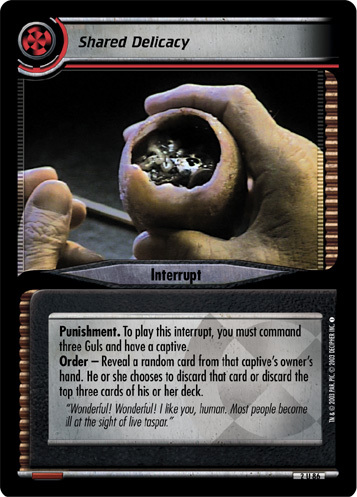 When your personnel is facing a dilemma, discard a card from hand to make that personnel lose all his or her skills until the end of that dilemma. 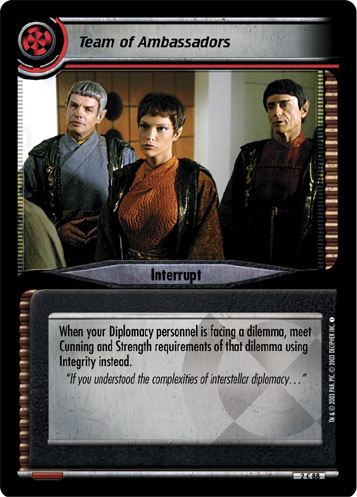 There are words to describe Cal Hudson’s abandonment of Starfleet to support the Maquis: treason, dereliction, betrayal. 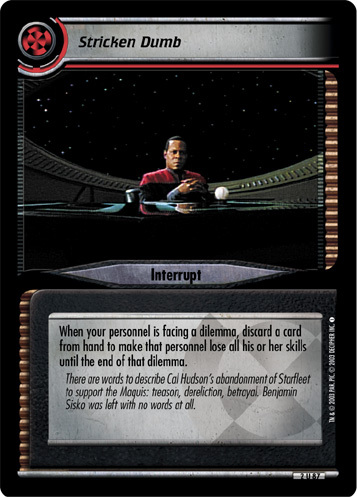 Benjamin Sisko was left with no words at all.